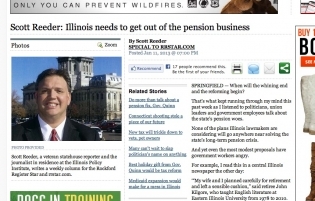 Scott Reeder, in a recent “special” to the Rockford Register Star, wrote about what the State of Illinois needs to do on State pensions. As a corporate journalist Reeder wrote in boilerplate fashion expressing the wishes of the money hogs called the 2%. Reeder’s article was, however, wrong. It was wrong in it’s statements, it’s slant and it’s conclusion. “whining” actually. 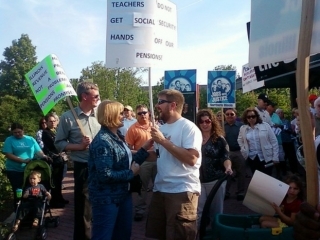 Reeder whines about working people getting a fair retirement pension. Reeder wants that pension money going into the already bulging pockets of the wealthy. 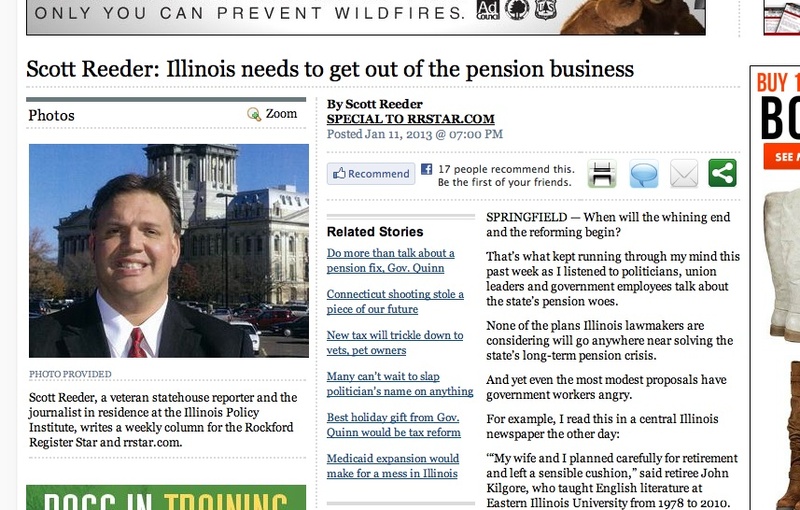 I am sure Reeder is looking forward to a handsome pension from his corporate bosses. Reeder’s argument comes down to blaming teachers for working, for paying into an agreed upon pension system and then fighting to keep what is rightfully theirs. I call it standing up for yourself.